Kim lives in Mill Valley, California with her husband of 20 years and her two wonderful sons. Kim Bellisimo MA, is not your typical life coach, counselor or energy worker, although she is all of these things. 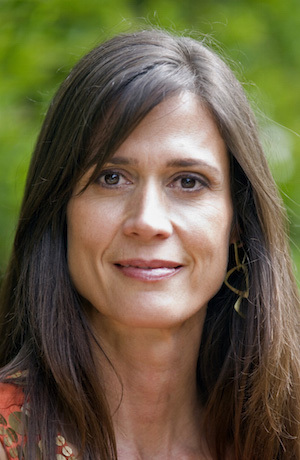 Starting with a master’s degree in Life Transitions Counseling, Kim has developed a unique approach to personal empowerment based on a lifetime of diverse experience and profound intuition. Kim specializes in teaching her clients about the human energy system and self-empowering behavior patterns, based on spiritual, psychological, and scientific research. "I can reveal why you attract the experiences you do, as well as which personal patterns repeat themselves in your life and create blocks that prevent you from making positive changes. I can help you clear away these energy blocks so that you can create new fields of possibilities for success in your work, your relationships, and your family. I teach you the tools that are necessary to release negative energy and manifest your desires in reality." Kim's practice is based on moving energy through the heart. The heart transforms negative thoughts, anxiety, doubt and fear into a new way of being. The heart, like the brain, creates a network, but unlike the brain it doesn’t create duality or division by trying to control. The heart brings things together instead of pushing them apart. When you work with Kim Bellisimo, you will gain an understanding of the heart’s process, and in turn experience true intimacy as a place from which to create and become whole. Kim works with clients all over the world, individually, in groups, and through her courses and webcasts, to move them from the places where they’re stuck. Her clients move from fear into joy, from anxiety into freedom, and from chaos into creativity. Her energy work is a heart-based process that consists of education, meditation, and concrete tools and exercises that generate energy movement toward realizing a new and fulfilling life. Anyone who wants to bring creativity and a new reality into their lives can benefit from working with Kim. Heart wisdom is based on the premise that the heart brings opposing sides into relationship, creating wholeness. My methodology, therefore, consists of teaching how to create from the whole, as opposed to being either stuck in the negative, or swept along by the super-positive. The mind can drive people’s energy out of their bodies and out of their space. Often people know exactly what they need to do in order to be healthy, but they continue to carry on destructive behavior. They do this because their energy is divided between the negative and the positive. It’s within this divided space that they remain stuck without movement. What shows up is depression, anxiety, fear, and paralysis. “Opening the Wisdom of the Heart” is built on the understanding that our energy creates everything around us and the heart moves it and directs it. When we’re sitting on the beach, we tune in to the natural flow of the waves moving out and back. We don’t think of the waves as being pushed out and pulled back- we simply tune into the flow. Similarly, in the process of creation, our energy moves out, and if we’re heart-centered, our energy comes back to complete a circuit, and it is this movement that allows us to change and grow. "I spent my formative years sifting with my hoarder father through the dumps and the thrift-shops of my hometown, and grew up with a passion for bringing order out of chaos. My own lifetime of creativity developed out of that same chaos as, I learned to recognize it, navigate through it and transform it." Kim started on her path by founding a company called Timesavers that organized people’s possessions, and then moved on to organizing her client's psychologically then to clearing and creating a new energy field . Now for her, there is no greater love affair in life then giving people the tools and the knowledge to move their energy from chaos to creativity. "My passion is to help people create and live in a new reality, moving through their hearts to transcend chaos and be connected to the world."